I am so glad that I have found your site because of all the comfort that I have gained from your interviews and research in trying to work through my grief. My mom died from sudden cardiac arrest a little over three months ago. She was only 51 and we had no idea that her heart problems would lead to her dying at such a young age. 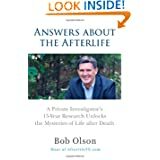 Her death raised a lot of questions about what happens when we die so I started to search online to find some answers and that’s how I eventually found your site. I have since her passing received multiple signs that makes me believe that she is still watching over me but since I would like to have some evidence of my own that there really is an afterlife I’ve booked a session with a medium that is known from TV here in Sweden so hopefully she will turn out to be the real deal. Thanks again for all that you do and I will try to order your book from Amazon asap because it sounds like an amazing read for sure. Very sorry to learn about your mother’s passing. I hope you’re doing okay. And I hope your reading with the medium went well. 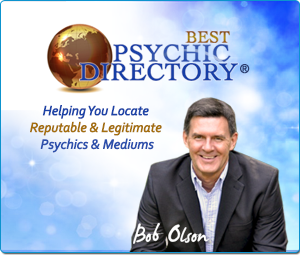 Really enjoyed this interview, Bob, and I’m happy you are receiving this well-deserved exposure surrounding your best-selling book (5-stars on Amazon!). I was particularly relieved to hear that your plans are to continue your work in this field using Afterlife.TV! Thank you. I’m really happy about the great response the book is getting. And, yes, looking forward to new interviews, hopefully for many years. That’s really nice of you. Thank you. 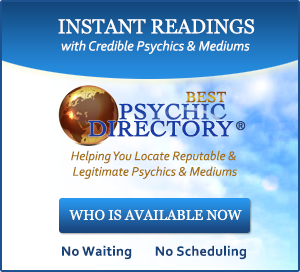 I’m pretty sure we’re both in agreement about many, if not most, of those people or corporations who are sending out mass emails to people advertising for their business to sell them vague readings. To be honest, however, this has nothing to do with the work I do. Most of the people behind these emails are not mediums; they are merely sleazy marketers pretending to be mediums in order to take advantage of people. The true mediums, the legitimate mediums, with whom I work closely do not practice in this way. To be perfectly honest, most of the mediums I know are so right-brained that they wouldn’t have a clue as to how to market themselves so aggressively. So we are talking about apples and oranges here. The same sleazy marketers are pretending to be lawyers, accountants, and even long lost relatives who need money. Scam artists wear all sorts of costumes. So just because a few call themselves mediums is not a reflection on the legitimate mediums at all–it’s a sad reflection of the dark side of society. Thank you. New episodes coming very soon. Yes, James really is a great guy and very down to earth. Hope we meet in person one day too. I’m glad you found me and my book too. Thank you for taking the time to write. I wish you the very best. I’am “following” you since last year. It’s incredible how close all of your findings are to those of Allan Kardec, more than 150 years ago, about the spiritual world, the eternity of life, mediumship and even the non-existence of a place called hell. Thanks! That’s a great compliment. I appreciate your comment. I am reading your book and I had a question. You had mentioned that you had seen many not great mediums from 1997-1999 and that you actually remained skeptical during that time. It was not until 1999 when you had a fabulous reading that your own views started to shift. 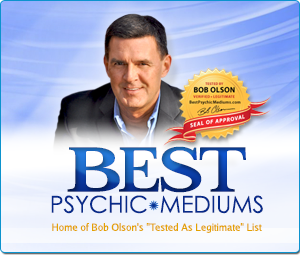 Why did you continue to see mediums if you felt like they were frauds? I understand that you had not met an evidential medium yet and of course, I am very grateful you didn’t stop pursuing this, but what made you keep going? 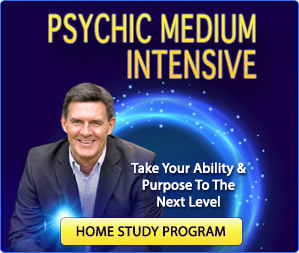 I had not seen any mediums in those first two years; I had only seen psychics, tarot readers and astrologers–that sort of practitioner. That’s not the practitioner to see if you’re seeking evidence of life after death. But that’s my point in telling that story. When I decided to use my skills as a private investigator to investigate life after death, I was a skeptic, although an open-minded skeptic. This, however, meant that I had no idea where to go for evidence of the afterlife. And in the late 1990s, most people had no idea what a medium was–most people didn’t know what the word meant, including me. And this is one of the many reasons I wrote my book, to show readers where I found evidence of life after death. 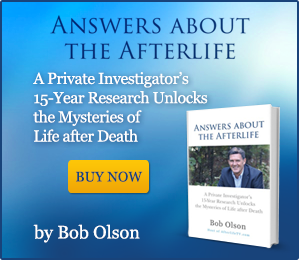 Since I encourage my readers to become their own afterlife investigators, it’s important that they know where to begin. So what kept me going was my commitment to find evidence, if any evidence existed. In all honesty, I almost cancelled my appointment with the medium that first time due to my skepticism (I thought I was wasting my money). 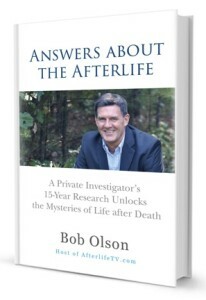 I’m certainly glad that my wife, Melissa, reminded me of my commitment to investigate life after death and the “possibility” that a medium might provide some of that evidence. Because of Melissa’s little pep talk, I kept the reading appointment and the rest is history.